Its really really bad news. I want you to know my really BAD SITUATIONS. 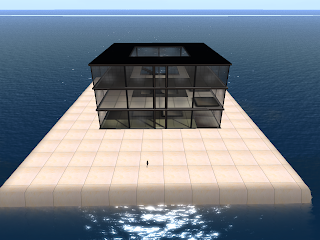 I had Bound Body SIM in SecondLife(SL). And then I used this SIM as my Furniture Store ** terra**. But my landlord run away with all his residents payments then left SL. I do not how much he got a money though his SIM were over 150 SIM.... GOSH!!!! I did not that many residents claimed at his partner about pay back and explaining about his action. But she did not all of this. So they contacted to their correct SIM owners, and almost people return their SIM to correct owners. At first, I heard my landlord death on "LOVE PARED" on July 24th in Germany. You know over 1,400,000 people came in this year event then 19 people were killed in the pared stampede in Duisburg. He is RL DJ, so I thought he joined this event and involved this accident. I was so sorry for his partner at the first time.. BUT! it was lie... He alives then he run away with our payments. After that he deleted his account. But I guess he has some alts then maybe he will do same actions. Because his group had 2 owners, one is his partner, another one was other woman though another one's skin, shape are same of his partner, and another one's partner is alike him.. So maybe they use some alts...at all. His partner sent IM to my friend who is his resident too..
"hello sorry i think the tier system has gone down for a short while do not worry we will not kick you and i will inform all when all is fine again"
But his office gone and the new owner is selling that Full SIM. I know changing the owner or the name for long time, maybe about 14 days, but Monday was his name, Tuesday was other SIM owner's name. WHY???? I can not let you know all of my experiences though its really really BAD SITUATIONS. I want you to know about that and please be careful. I can not write down here their names -- my landlord, his partner, the new landlord etc, etc-- but if you want to get a SIM and you want to know my informations, please let me know that, contact to me here or in world. I would like to answer your questions as possible. I wanted to share my experiences with you.. and I want many people to know that..
Its my old SIM... I left that stuff on my old SIM..
Hi there. My Midnight Mania(MM) finished a couple days ago. But selling "Comfy Sofa", "Canada Day ver." and "Independence Day ver." as L$10 now.